The “woman fled into the wilderness” which in apocalyptic language doesn’t necessarily require spatial movement at all. The interpretive key to this symbolism is found in John’s many allusions to the time of Exodus. “The wilderness” is the place of God’s special communion as seen by His Tabernacle and altar in the wilderness at Gibeon (1 Chr. 21:29; 2 Chr. 1:3). God first met Moses in the wilderness of Horeb (Ex. 3:1-4) and the children of Israel in the wilderness of Sinai (Ex. 19:1-20). The connection to the wilderness as a place of refuge is confirmed by the appearance of Moses and Elijah in Jerusalem (Rev. 11:3), the latter fled to the wilderness from Jezebel (1 Ki. 19:4). Moreover, John the Baptist who came in the power and spirit of Elijah (Lk. 1:17) preached in the wilderness and baptized Jesus there (Mk. 1:3-11) who also immediately goes into the wilderness (Mk. 1:12). John’s description of the wilderness as a “place prepared of God” and where Zion is fed and nourished (Rev. 12:6, 14) confirms this. Two wings of the great eagle also symbolize God’s protection and care (Mal. 4:2; Ps. 17:8; 63:7). 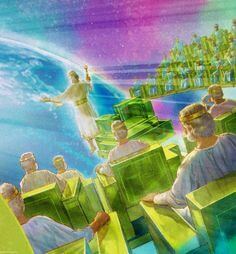 Hence the symbolism of the church in the Sanctuary of God surrounded by the TARES (Rev. 11:1-2) cast out into the outer courtyard shows her protection to be in the midst of the Harlot Babylon. When the Beast rises up at 1260 days slaying God’s two prophets (Rev. 11:7) Babylon will be destroyed sometime after, therefore God’s people are called ‘out of her’ as the protection she afforded them has ended (Rev. 18:4; Dan. 7:25; 12:7). Daughter Zion the church required this special nourishment and protection by God because her Great Tribulation is about to begin for refusing the Mark of the Beast when the Man of Sin morphs into the Beast son of destruction in the middle of the seven year end time “week” (2 Th. 2:3-4; Dan. 7:25; 9:27; 12:7). She was nourished by the preaching of God’s two candlesticks whose inexhaustible supply of Holy Spirit oil caused God’s light to shine ever so brightly (Zech. 4:11-14). These are Moses and Elijah. Satan failed to prevent Moses resurrection (Jude 1:9; Mk. 9:4-5) so he could accomplish this ministry. Some take the observation “it is destined to men once to die” (Heb. 9:27) as if it were an inviolate rule preventing Moses from appearing. But they forget all the OT saints raised from the dead, died again contradicting their rule (1 Ki. 17:22; 2 Ki. 13:21; Mark 5:41; John 12:17; Ac. 9:40) for they will live again in the resurrection. During the church’s time in Babylon the Dragon spews out a river of spiritism which the earth (=people Rev. 13:11) greedily drank up (Rev. 12:15-16) causing the Harlot to reel in drunkenness falling prostrate to every unclean spirit and hated bird. Demons happily made their home in her (Rev. 18:2). Thankfully their hidden presence was revealed by the Shekina Glory of God whose light shone revealing all hidden in darkness, as symbolized by the angel coming down from heaven (Rev. 18:1). 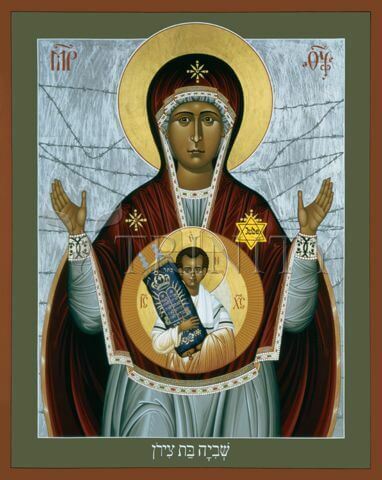 The woman is protected from Satan’s intent to destroy her for 1260 days, which is the same time the church is in the Sanctuary of God surrounded by TARES that were cast into the outer darkness (Rev. 11:1). Measuring the temple and the altar (where God speaks) and them worshiping therein indicates divine protection from error for 42 months or 1260 days (Rev. 11:2). These get to feed on the teaching of Moses and Elijah who for 1260 days preach in Jerusalem (Rev. 11:3) and are the two candlesticks before the LORD lit by supply of Holy Spirit oil shining the truth of God into the world. These two prophets are slain by the Beast who rose at mid week (Dan. 7:25; 9:27; 12:7). Sometime after the North destroys rebuilt Babylon burning her with fire, and the ten horns ruling with the Beast deem the Harlot Babylon needless competition against the New World Order of the Beast who opposes all prior concepts of God exalting himself above them all (Rev. 17:15-18; 2 Th. 2:3-4; Dan. 7:8, 10; 8:12; 11:36). So the 1260 days of protection ends just before the great city Babylon is destroyed and the Harlot with her, God calls out His people (Rev. 18:4) lest they suffer with her. Now the Church’s political power is scattered (Dan. 7:25; 12:7) and the great tribulation martyrdom of the church begins for refusing his mark (Dan. 7:21; Rev. 14:12). That persecution lasts 75 days as the gathering to Christ begins 1335 days after the two prophets began speaking (Dan. 12:12). Confirming the church is protected for a time by Babylon the Harlot from the face of the Serpent, although to be sure the TARES in the outer courtyard would hurl insults to those who refuse to follow them in their apostasy. The Dragon spews out a river of spiritism hoping to carry away the church into idolatry but dwellers of the earth (Rev. 11:10; 13:8; 14:6) from whence rose the false prophet (Rev. 13:11) greedily drank up the energia of Satan causing their strong delusion (2 Th. 2:9-12). This is why Daughter Zion isn’t heard from again, she was raptured 1335 days after the beginning of the ministry of God’s two witnesses. The Man of Sin required 30 days to completely set up his Mark at 1290 days, so for the next 45 days the church is nearly extinguished by martyrdom, the few who endure to the end of this period are saved, not a hair on their head lost (implying they will be changed at a twinkling of an eye 1 Cor. 15:52) at 1335 days (Dan. 12:11-12).